You will feel transported as you step on to the island and enter this fully designer furnished, newly renovated and expanded, stunning open floor plan with over 4000 sq/ft directly on the beach in Compo Mill Cove. 5 beautifully stated bedrooms w/ bonus bedroom/au-air suite, 5.1 bathrooms & office/artists space.Beautiful gourmet kitchen with separate subzero fridge & freezer. Step down the back deck to sandy beach area to your- outdoor pingpong table, kayaks, paddle boards and the ocean to play. The front yard consists of lush grounds. 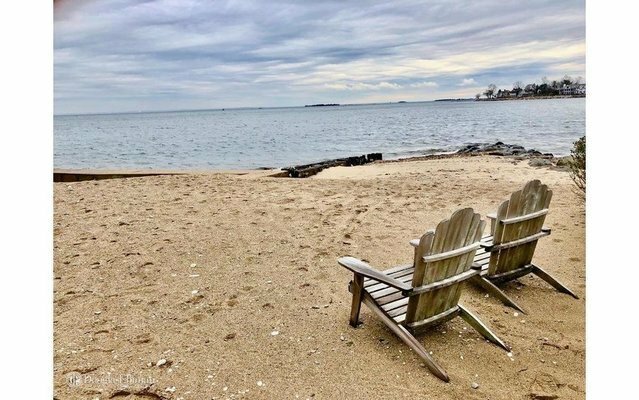 Included: Deeded Deep water boat slip at Compo Beach.Privacy and seclusion at its finest. Available March 1st yearly rental $25k/month or Summer rental June-Sept $40k/month. Please note: this is a one of a kind luxury property not to be missed.